But Wait… I Don’t Want to be a Psychic! So, you’ve read lots of psychic development posts and books, had lots of experiences, and you KNOW you’re a psychic. Heck, you might even be a medium. Question: Does being a psychic or medium mean that you have to start giving readings, meditate for six hours every day, and get yourself a snazzy crystal ball? You don’t have to become a professional psychic or medium. You don’t have to give readings. You don’t have to develop your gifts any further if you don’t want to. We all have at least some degree of psychic ability. 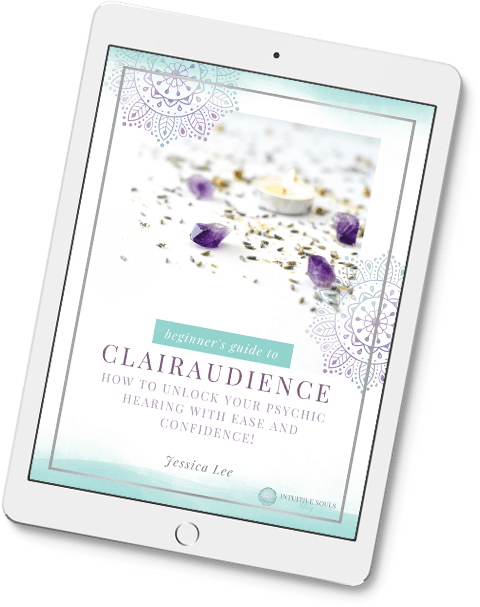 Whether you have clairvoyant abilities, clairaudient ones, or any of the other clairs, it doesn’t mean you have to continue developing them if you don’t want to. 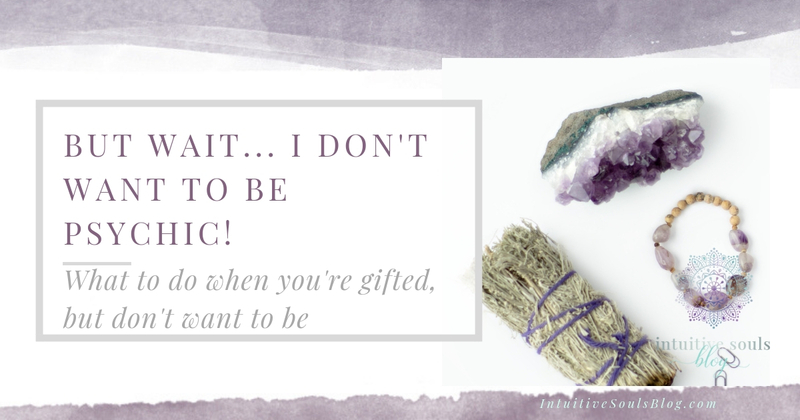 Not everybody that has psychic gifts wants to use them, and that really is OK. I have one friend who is such an amazing medium, that I swear she could knock your socks right off your feet! But after about five years of working as a professional medium and building up a fab reputation and clientele, she felt called to move onto something else. She now works for a public access TV station and LOVES it! I’ve had clients ask me if this is a “waste” of their gifts. One client I had felt so guilty about not using her mediumship that she was losing sleep! Please, don’t do that. There are PLENTY of wonderful, capable psychics, mediums, tarot card readers, healers, and all other sorts of Lightworkers in this world that really love using their gifts. It’s alright if you don’t. Maybe you feel like the energy is too much. Maybe you’re shy. Maybe you’re too anxious or scared. Maybe you’re called on another path. Or maybe it’s just not the right time. I don’t believe that we should sacrifice our joy to do something that we THINK we OUGHT to be doing. I think that’s a pretty poopy way to live. Did you ever think that just spreading your awesomeness around wherever you are — whether it be working for public TV, McDonalds, or the President — is enough? That maybe that big, beautiful aura of yours affects everyone you come into contact with? And whose to say you won’t feel called to use your gifts later on? Maybe it’s not a Namasta-no. Maybe it’s a Namasta-not-right-now. I’ve got a black Coach bag sitting in my closet. I treated myself and splurged a couple of years ago when it was 50% off (I know!). But right now, I’m really digging my ivory and tan bag. One day, I might change my mind. One day, you might change your mind, too. The door is always open. Remember that being a psychic medium doesn’t define you. I talk to a lot of people who get freaked out about the thought of being psychic. In all honesty, it’s just one part of you — like having a great sense of humor, or loving yoga. Personally, I have LOTS of other interests besides being a psychic medium. I love interior design, watching Bates Motel with my husband, and reading books about finance and investing. You don’t have to do anything you don’t want to do, but I would recommend that you use your intuitive gifts for YOURSELF. Your intuition can help you be happier, more peaceful, and help guide you through life. Just because you don’t want to be a professional psychic doesn’t mean those gifts should go to waste. You can learn to utilize your clairvoyance or clairaudience to connect with your Higher Self. I think we should all get to know our spiritual selves, for sure! That’s where our true essence and authenticity lies. Unleashing that can be SO incredibly powerful. EVERYONE has intuition. It’s our birthright. One difference between you and other people is that you haven’t totally closed down awareness of your abilities. Why not use ’em to have a more awesome life?